I’m very proud of myself and yet I feel like I haven’t done enough to deserve that pride. On Oct 18th I jumped on a plane and flew out to Atlanta Georgia where I met about 35 women who share in my passion for an AIDS free world. 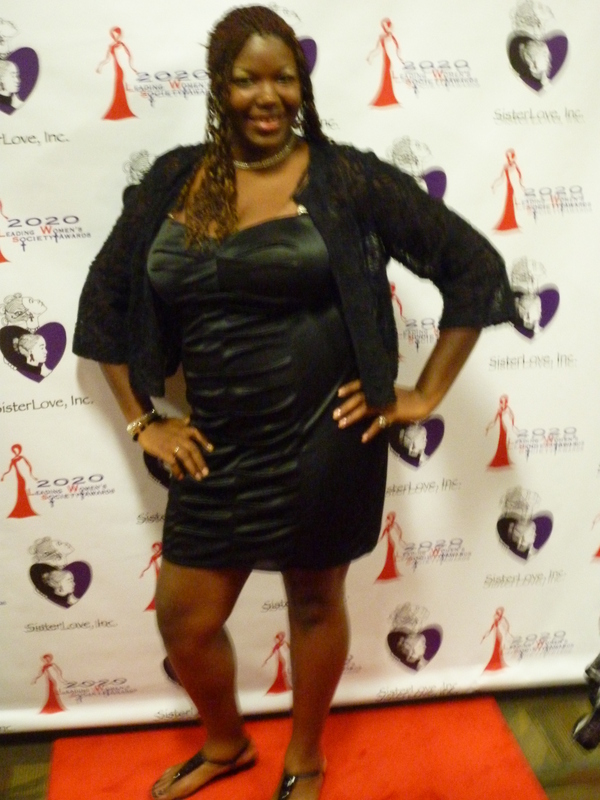 I was accepted as on of the 20 women that Sister Love chose to honor for living with HIV for 20 years or longer. 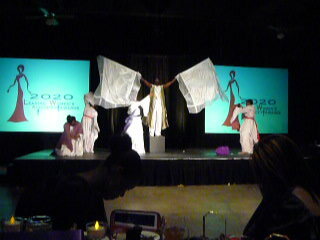 I was accepted with open arms into the 2020 Leading Women’s Society class of 2012! The red carpet event was amazing. It started with a limo ride from The Twelve (the hotel that would be my home for the weekend). The 19 other women and I were met at the start of the red carpet by our escorts who helped us out of the limo and stood with us as we waited to make our entrance. Immediately after entering the event space we were interview one by one and had our photos taken just like the stars at a fancy Hollywood award ceremony. The escorts then walked us to the very front of the dinner space where we were to sit and enjoy the rest of the night. Dinner started with a delicious mixed green salad followed by chicken with a garlic and olive sauce and roasted vegetables. The food was very good but the desert was even better! 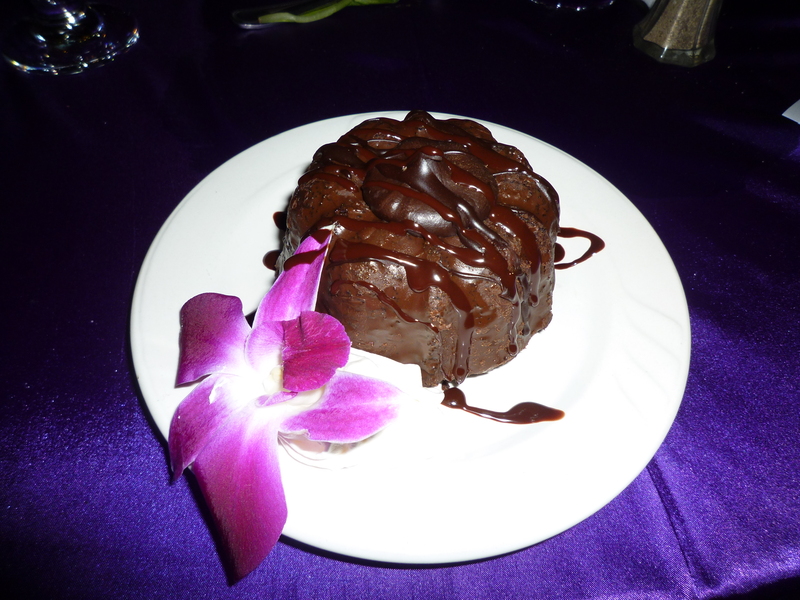 Chocolate cake with a rich fudge center drizzled with chocolate syrup. As we ate our desert the award ceremony began. They called us up to the stage where we received our awards and had the chance to make an acceptance speech with our name and picture display on 2 giant screens. I felt like a super star! There was fantastic entertainment. a young women sang ‘Satellites’ one of my favorite songs by Beyonce and a praise dance team, Chosen Vessels did a lovely dance routine that ended with them bring each of the 2020 LWS inductees to the front of the room. We were each given a white feather as a symbol to show that we were ready to fly. It was amazing to look to my left and my right and see all those beautiful women dressed to the nines. We were all connected by HIV a virus that no one wants to claim, no one wants to be associated with, but on that night I was proud! Proud of my sisters and the hard work they’ve done, proud of the strength in the room, proud of the escorts who held our hands as we sashayed down that red carpet, and last but not least I was proud of myself for living my Positively Beautiful life with compassion and love for all. I cant wait until I feel like my work is something I can be proud of. There was a women in Atlanta who taught us about how to make something from nothing. She made quilts from old clothes that she sold for up to $300. She taught me a lot! I have many creative talents and I enjoy making things. There is no reason why I cant do what I enjoy and make a living from it. I left Atlanta with my creative hat on. The Positively Beautiful Fashion Show will be a success sooner rather then later! Lynnea, you were so deserving of that award. Keep up the great work and be the light for the rest of us. So proud of you!